Dry Fly has always walked to the beat of its own drum, and that’s a good thing. Dry Fly’s Vodka, Gin, and Washington Wheat Whiskey all stand out in their categories as examples of unique offerings with distinct and unconventional flavor profiles. The one common theme that has run through all of Dry Fly’s products is quality. Dry Fly is fairly unyielding when it comes to their ingredients: everything they put in their bottle is local, and everything they use comes from a source they have a direct relationship with. This myopic focus on quality is emblematic of some of the very best of America’s artisan distillers. Dry Fly Washington Bourbon 101 (101 proof $64.95) is a three year old whiskey made from Washington corn, unmalted wheat, and barley. Golden amber in color, the Dry Fly Washington Bourbon has a nice spicy nose that brings together cinnamon, vanilla, allspice, oak, and caramel. The entry is very flavorful with big vanilla and caramel that hit the palate right out of the gate. The mouthfeel is simply fantastic, soft without being fatty with just a hint of elegance to it. Things open up considerably in the mid palate with some fantastic spice that balances out the sweet tones in the bourbon, including cinnamon, clove, and oak. The heat begins to come through at the end of the mid palate and leads to a fantastic long, sweet, and spicy finish. There’s no question that this is a younger bourbon, but how Dry Fly has managed to pull a level of complexity and sophistication out of such a young spirit is absolutely beyond us. Dry Fly Washington Bourbon isn’t like a lot of the other bourbons on the market, and that’s a good thing. 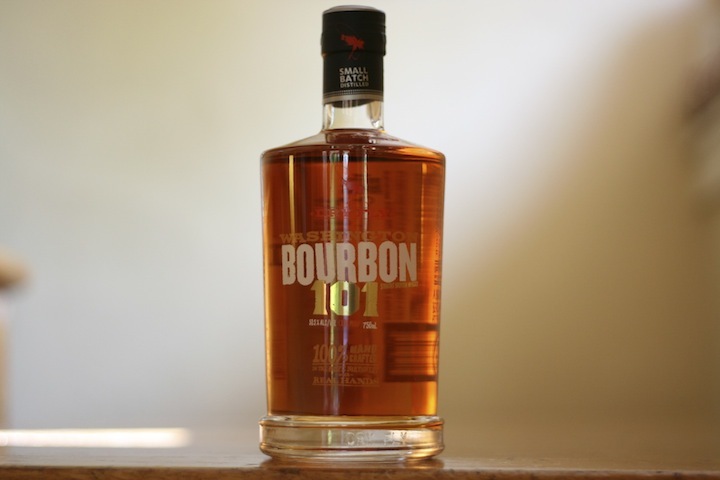 The opportunity for craft distillers to innovate and create new expressions in this category is vast, and Dry Fly has seized the bull by the horns with one of the most exciting bourbon releases of the year.